Wat : Want these lovely heels ? Headover to the site below as there are currently having their pre-order batch now ! Wat : A beautiful flora inspired dress that has a V neck line. The colour mix at the bottom is nice. A Hanfu-coloured inspired modern dress that can easily be used as a working formal. Look elegant and stylish in this light blue dress. 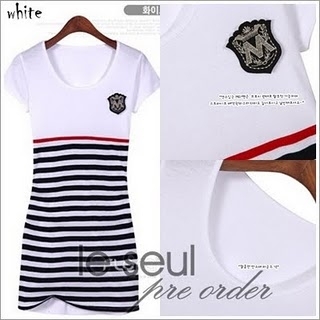 Wat : Look like a cute and sophisticated school girl in this dress. This dress is uniform inspired, see the badge there? reminds me of our pinafour. Wat: Another japanese product from their store. This is a Kinchaku or a "Kimono pouch". The floral designs sure makes this pouch looks interesting, no ?